Sanctuaries - Wellesley Conservation Council, Inc. The Wellesley Conservation Council (WCC) maintains ten sanctuaries totaling 44 acres. 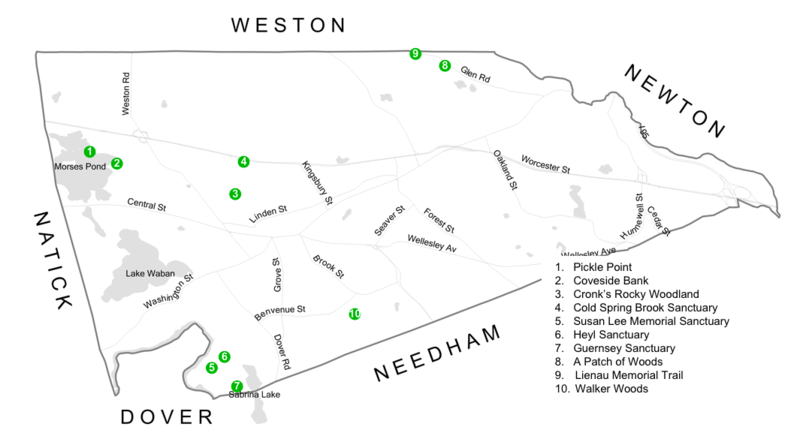 Eight of the ten sanctuaries are located entirely within Wellesley, one includes land in both Wellesley and Needham, and one is located within Weston. Currently six properties have walking trails. One is a small suburban wildflower garden. The WCC also holds three conservation easements.